ItemH-03683 - Ucluelet East School photo. ItemH-03688 - The Legislative Buildings in Victoria; in the foreground the last remaining "Birdcage"; destroyed by fire in 1957. 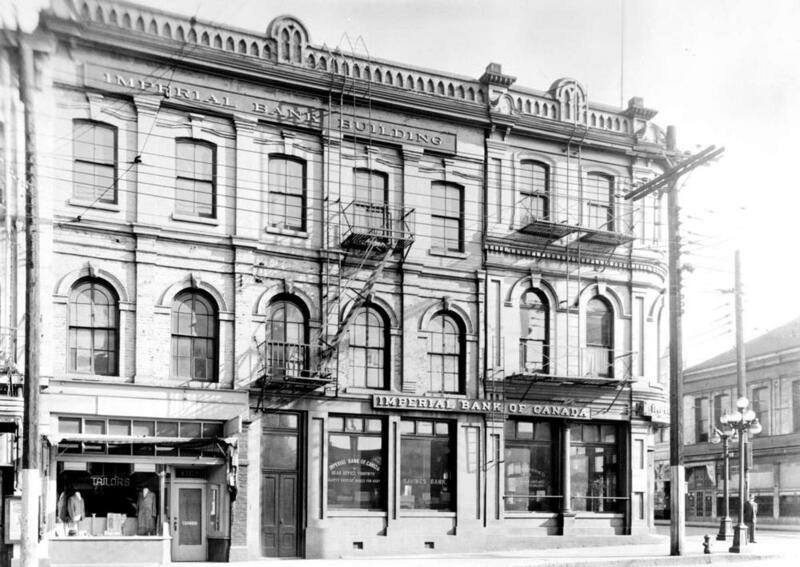 ItemH-03022 - The Canadian Pacific Railway's ticket office, Belleville Street, Victoria. ItemH-03047 - Front View Of Christ Church Cathedral, Victoria, BC. ItemH-04049 - Log boom at Refuge Cove. Tailor shop in bank building (bottom left).